Episode 7 of Season 8 on Afterlife TV: I’m excited about this episode, because we discuss what it’s like for spirits immediately after their physical death. I talk about the stages of reintegration back into the spiritual dimension from the physical. For instance, I explain what spirits eat, wear, and where they live. But more importantly, I talk about the transitionary phase and why the spiritual realities of time and space don’t allow for it in the way we commonly imagine it. Yet there is lots of evidence of the life review stage, so I explain how all this really works considering spirits are beings of light, which will make perfect sense to you after the show. Later in the show, I play a clip from an interview I did with Anita Moorjani. Anita had a near-death experience and a truly mind-blowing recovery considering she was dying from end-stage cancer. This clip adds a lot of insight into what it’s like as a spirit in the spirit world, which is why I’ve added it. The lessons we gain from this short clip include how our loved ones in spirit feel our emotions, how they are able to think of us and be aware of our lives instantly, and even how they have the ability to change the future (really cool). Thanks to Sweet Melissa for her photos. And thank YOU for listening/watching this episode. Please let me know how you benefited or were comforted by the show. And please follow us or subscribe on Facebook, Twitter, YouTube and AfterlifeTV.com. If you sign up for our newsletter, you’ll never miss an episode. Bob: Hey everybody, Bob Olson here with Afterlife TV. You can find us at afterlifetv.com. This is where we talk about life after death. Today we’re gonna be talking about what it’s like in the spirit world after we die. You can word that a million different ways such as what happens when we die or what is the spirit world like. You get the picture? 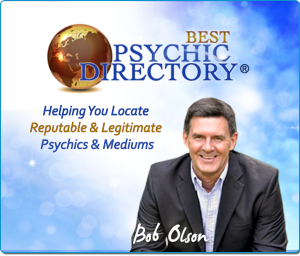 Before we get to that, I just wanna thank our sponsor, Best Psychic Directory. I want to thank everybody who’s let us know that you’ve had readings with these mediums and animal communicators from bestpsychicdirectory.com and that these readings have blown your minds giving you comfort, giving you peace of mind. I’m so happy that my work creating this vast resource of mediums and psychics and animal communicators, even tarot readers and energy healers has been so helpful and beneficial to you. So thanks for letting us know about that. I’m always happy to get that wonderful positive feedback about all the people that I have carefully selected and put on bestpsychicdirectory.com. Now, you might have noticed that last week there was no show. Well, Melissa and I went to Ireland with some friends. Wow, that was an amazing vacation. We really had a great time. You might know some of our friends. We went with Cheryl Richardson and her husband Michael and we also went with our friends Brian Weiss and his wife Carol. You might know some of these people because I interviewed Cheryl back in February about her latest book “Waking Up in Winter” and I interviewed Brian quite a while back about his book “Many Lives, Many Masters,” a book that so many of you have told me introduced you to this world that we talk about here on Afterlife TV. So I’ll put links to those episodes in the show notes and I’ll tell you more about our amazing trip to Ireland in the next episode where you can also enjoy the gorgeous photos Melissa has taken there. Oh, it’s such a beautiful place. In the last episode, I talked about writing your own obituary or writing an essay to be read at your funeral or memorial service. Well, I actually found a book that helps people with this exact process. It teaches you how to choose what to write because that’s really hard, especially if you’re not a writer, and then it teaches you how to write it. We might want to be a writer. We might not really know how to be a writer. This does a great job teaching people how to write things and giving you the confidence that you can do it and it gives several helpful examples. I personally read the book and I loved it. The title of the book is “Having the Last Say.” “Having the Last Say” is the title. Subtitle is “Capturing Your Legacy in One Small Story.” It’s written by Alan Gelb, G-E-L-B. And I’ll have a link to it in the show notes as well. As I said this week, we’re talking about what it’s like in the spirit world after we die. 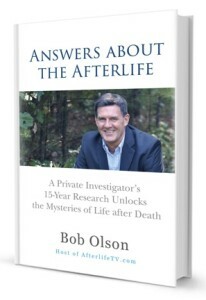 Let’s start off with something I wrote to answer that question in my book “Answers about the Afterlife.” A subtitle of that is the “Private Investigator’s 15-year Research Unlocks the Mysteries of Life After Death.” And if you’ve been listening you know that the audiobook is now available. After about 4 years, finally, came out with the audiobook and I’m gonna play a clip from that, something that I wrote to answer that question. So, here is that clip and then we’ll come back and talk a little bit more. Man: What’s it like in the spirit world when we initially cross over to the spirit world after dying? Some believe there is a period of transition where our spirits get reacquainted with the spirit world. In this face, the recently crossed over are said to imagine themselves as they were in their physical lives, human lives until they get reacclimated to their spirit world reality. Since we can do, be, and have anything we desire in the spirit world, imagining their life as it was on earth might become their temporary reality. And from this perceived reality, they might feel like they have a body that seemingly needs food, sleep, shelter, and clothing. During this early stage of reintegration back into the spiritual realm, some spirits imagine themselves in the last home they knew in their physical life, some imagined being in their childhood homes because they felt more comfortable and happy there, and some invent the home of their dreams that they could never afford during their physical life. The choice is yours for the making. Wherever you wish to be, whatever you want it to look like, you can have it. Your only limit is your imagination. Since we can do, be, and have whatever we want in the afterlife, this is also true for what we eat, what we wear, and what we are able to do. Want to drive a Maserati, want to play a musical instrument, want to be a talented gymnast, want to eat chocolate all day and never get fat, want to dress in Armani, whatever you want and can imagine, that can be your life in the hereafter. As good as all of that might seem, my investigation into the afterlife has taught me that imagined realities are not our true nature as spiritual beings. Food, cars, clothing, and houses are possessions of physical beings. Spiritual beings have no interest in such belongings. So once our reentry back home is complete and we’ve had the opportunity to readjust, our desire for such things disappears. Moreover, this idea of the transitionary phase for spirits is a subject for debate. If it truly exists, it is likely more for people who haven’t learned anything about the afterlife before their physical death or outright don’t believe in it. In these cases, since we get whatever we focus upon in spirit and whatever we expect, these newly arrived spirits might be holding on to their physical memories and therefore experience what they expect to experience, more of the same, more human life. The other cause for debating the transitionary period is that it implies time is involved, which doesn’t exist in the afterlife. So if time doesn’t exist in the spirit world, the transitionary period sounds an awful lot like a fictional story that a human made up in an attempt to understand or describe the afterlife. After all, some humans tend to believe or want to believe that the spirit world is just like the physical world. As we know, many folks don’t like change. I can also understand why humans would make this assumption if they’ve had readings with mediums. I’ve had readings where my relatives in spirit made claims through mediums that they were doing human activities. For example, I had an uncle who told me that he was fishing in the spirit world. Obviously, considering that he’s a being of light, his claim is likely not literal. As a spirit, it’s also unlikely that he would do anything that would harm a fish. What is more likely is that my uncle is telling me that he’s fishing because I know that fishing made him happy when he was physically alive. So he’s showing rather than telling me that he’s having fun in the spirit world. These types of messages tend to comfort the grieving and convey to us that our deceased loved ones are okay. So they do serve a good purpose. Even if they’re a bit misleading about the reality of what it’s like in the afterlife, I do believe in a review period after our physical death where we continue to learn and grow in the spirit world by reviewing our experiences in our last human lifetime. There’s a lot of ground to cover when reviewing a life that’s expanded 2030 or especially 60 or 80 years, a whole lot of choices and actions to re-examine. Even given that time doesn’t exist, which is nearly impossible for us humans to fathom, that’s got to take some effort and perhaps emotional energy. On the other hand, I have a story to tell you that puts all this into perspective. I once had a reading where my father in spirit came through expressing regret and sadness for things he’d done in his life. Yet at the exact same moment, my wife, Melissa, was getting a reading with a different medium where my father came through expressing joy, love, and excitement regarding his human life. Since both mediums gave us compelling evidence that they were, in fact, communicating with my father, what this shows me is that my father was able to choose his point of reference depending upon the situation, in this case, depending upon whom he was communicating with, Melissa or me. With Melissa, he was referencing experiences about his life that made him joyful. And with me, he was referencing experiences in his life that made him regretful in order to convey different messages to each of us. We can learn a lot from these simultaneous readings that Melissa and I experienced. For instance, one might have quickly interpreted my reading by saying that my father was still in a transitionary period in the afterlife because he was feeling regret for things he’d done that had negatively affected me. But when considering the two readings together, it leads one to believe that my father is learning and growing from all the events of his life concurrently. He’s neither in a regretful and sad transition nor a joyful and excited transition. He’s simply experiencing it all at the same time, no transitionary period necessary. Our true nature as spirits is light. We are pure energy. Although we are clearly recognizable to one another in the afterlife by energetic vibration, we have no bodies. We don’t even have faces. We communicate by thought. To travel somewhere, we merely need to think of the place or the person we want to visit, and like magic, we are there. Consequently, as beings of life, we have no need for food, shelter, clothing, or sleep, but we get to create whatever reality we wish if we have any desire for it. So why do people in spirit communicate through mediums that they are still fishing, playing bridge, or painting in the afterlife, because they are conveying a message to their loved ones through that medium that they are okay and they are happy. And because we remember our loved ones being happy when they were doing these activities, those messages ease our minds by conveying that they are in a joyful peaceful place in the afterlife. The message is more of a metaphor than an exact description because it’s incredibly difficult to explain to us what they’re really doing in the spirit world, especially during a brief reading. Given the fact that mediumship is a challenging means of communication although the best we have, communicating in metaphors is the easiest way for them to tell us they’re enjoying being back home in the spirit world. 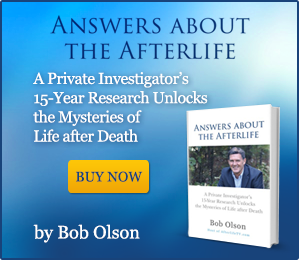 Bob: So if you enjoyed that clip and got a lot out of it, there are 150 total questions and answers in “Answers about the Afterlife.” That’s my book that you can now get in audio book form. It is in Paperback or it’s in Kindle. So if you got a lot out of that question and the answer, there’s 149 to go. Now I wanna play a highlight of an interview I did with near-death experiencer Anita Moorjani, one of the earliest interviews I actually did here on Afterlife TV. If you’ve ever wondered what it’s like as a spiritual being for our deceased loved ones in the afterlife, this interview with Anita, it explains her experience in the afterlife during her near-death experience while she was dying from cancer. Now, there’s a miraculous recovery and you can listen to that whole interview. We’ll have that link below. Anita Moorjani explains how much awareness she had of her dying body and her family members who were still living. She also explains her awareness of the future, and it’s mind-blowing what she shares. This brief segment of Anita’s testimony is absolutely riveting to get you started so you know what you’re listening to in this segment. In the full interview, Anita had just explained that she felt no pain in the spiritual dimension after leaving her body. I asked her about this, which led her to explain that she wasn’t thinking about things but rather aware of the things. Okay. She wasn’t thinking but she was aware. And that’s where this segment begins. Let’s listen to Anita. You recognized that you had this awareness, but is there actual thinking going on? Are you curious as to why you’re not feeling any pain anymore? Anita: Yes and no. See, this is really hard to explain because I would be hesitant to even use the word that I was thinking. I would use the word “awareness.” So I started to become aware. I became aware that, “Hey, I’m feeling free.” And it’s a very subtle difference between becoming aware and actually thinking because I think awareness is closer to sort of knowing but it’s more an emotion rather than…it’s not from the mind. It’s more of feeling. Bob: This is gonna be the closest we’ll ever get to interviewing a spirit to find out what it’s like to be in spirit. So pay attention to this because what she’s about to tell us really describes what I would expect. And all the evidence that I’ve gained in my investigations has taught me about what it is like to be a spiritual being. So you’re lying here. You had this awareness. What are some of the first things that you’re aware of other than that you’re not in any pain? Are you aware of what your family members are doing? Anita: Yeah, I was aware of what my family members were going through, their anguish, their desperation. I couldn’t understand it. I was aware that the doctor…I could hear the doctor telling them that these were my last hours. I had 36 hours at best, if even. And then I was aware that my husband was frantically trying to call my brother who was in India to tell him to come here. And then I was even aware that my brother was already on a plane. He had sensed something was going on. So he’d already left his home. He packed his bags, left his home, and got on a plane to come to Hong Kong. And it was as though my awareness was just expanding. It’s just jokes every time I recall it or think about it. So it was like I was expanding and then I was encompassing everything. So I became my husband and I became my brother. I was aware that my brother was frantically wanting to get to me before I actually died. Bob: Frantically. So, you’re feeling his emotions in other words. You recognize what he’s feeling. So he’s on a plane and you can feel what he’s feeling? Anita: Yes, I could feel what he’s feeling. I could feel what my husband was feeling. My husband wouldn’t leave my side because he was just sitting riveted watching all the dials above my bed and he didn’t wanna move because he didn’t know when I would take my last breath. Bob: And he wanted to be there when you did. All right. So there’s no thinking going. There’s only an awareness going on. So are you feel any turmoil in recognizing what they’re going through? Anita: What would happen is that I would feel their feelings and I would feel their emotions. And as soon as I started to feel those emotions and get attached to those emotions, it was like simultaneously I would then feel myself actually being pulled away like a detachment. And then as I would get pulled away, I would be overcome by this feeling of just unconditional love like really unconditional compassion. And then there was this feeling that no matter what was unfolding before me in the physical world, it didn’t matter. Whatever was unfolding, it was still perfect. It was still gonna be perfect in the grand tapestry. So it was like I was being pulled away not consciously. I wasn’t consciously trying to pull myself away, but I was being pulled away from the emotions of everything that was happening. And then my awareness would rest somewhere else and then I would get…it was like I would get drawn into those emotions, like it would be my mother, for example, and then I’d get drawn in and again I would get pulled away. And it was as though I would be enveloped by just this unconditional love and then, again, of feeling like washed over with a feeling that everything is fine. Everything’s perfect. In the grand tapestry, everything’s still gonna unfold perfectly. Bob: Absolutely amazing for you to be able to focus in on one person. You sort of did it one at a time. It sounds like focus on that one. As soon as your attention focused on that one person is when you could feel everything that they were feeling and even know what they were doing. You were aware of things that were obviously with your brother who’s flying there but you’re aware of things that were happening outside of the room. Correct? Anita: Correct, yes, of the doctors telling my husband and telling my mother. I was aware of their emotions. In fact, it’s like I became them. It’s like there’s no separation. It’s as though the body keeps us separate. But when we’re not in our body, it’s like we’re all one. It’s like I was able to feel every emotion they were feeling. It was really like I became whatever I focused on and it also felt like it was all happening simultaneously. So it was like…In that state, the awareness is like 360 degree peripheral vision and distance is not an issue. It doesn’t matter how far, but even the time is not an issue. It’s as though everything is happening simultaneously. It’s like now when I come back and now I’m back in my body and I’m expressing it, I have to put everything into linear time. I have to explain it all and kind of try to figure out, “Okay. In what sequence did it happen?” But over there, it was like there’s no sequence. It’s like our brain gives it a sequence, but over there, there’s no sequence. It’s like it’s all happening and I’m aware of it all. And it’s just wherever my awareness rests, that’s what unfolds for me. Bob: What excites me about that is…and I talk about what it’s like to be a spiritual being. What excites me about it is because people ask questions about their loved ones in spirit and they wanna know if their loved ones in spirit are aware of them. And everything I’ve ever learned or heard through mediums or people who have had near-death experiences, what have you, is that, yes, all they need to do is focus upon you and they’re aware of everything that’s going on in your life. They’re aware of everything that you’re feeling and yet it has been difficult to describe to some people about this idea of time and space. And so if you talk to them, they will become aware of you and they’ll know everything that’s going on in your life. But this even goes a little bit into the future. Did you have any sort of recognition of the future as well? Anita: Yeah. With the future, they had already taken a lot of tests on my body and test of my organ function and things like that. So although the doctors had said the organs were already appearing to be failing and that’s why I was dying, I seemed to be aware. I reached a point where I had a choice of whether I wanted to come back into my life or go on into death. And there’s a lot around there which I’ll get into but specifically about the future. I was aware that if I chose to go back into life that my test results which had already been taken, the tests had already been taken, the results which show that my organs were starting to function again. And if I chose not to go back into life, not to go back into my body, the test results would show that my organs had failed and so basically the diagnosis would be my death was caused by organ failure due to end stage cancer. Bob: That is such a powerful clip, really powerful stuff. One of the things that I love most about what Anita talked about is how she was pulled back from getting to attached to her husband’s and her brother’s emotions. Automatically, she was pulled back so she could be more detached. This is a powerful example of the exuberant evidence I discovered to indicate this exact phenomenon over and over again. I love how our loved ones in spirit are able to feel our emotions and yet maintain a detached distance from it. It is the same distant detachment that our spirit guides and our own souls feel all the time. I think that without it the ability to guide us would be influenced by our human emotions, which is not how we want our spirit guides to be guiding us. There was so much in that clip. She talked about the grand tapestry of life, oh, such a beautiful phrase and understanding that everything was gonna be all right. She had that understanding that everything was gonna be all right regardless of which decisions she made, which was to come back or to stay there and then, of course, the ending where she was given that choice. Basically, the projection of the future that depending on which choice she made to stay or to go back to the physical world, the test results which had already been taken would be different. They would show either that her organs were failing, or they were not, so much to think about there. I actually recommend that you just go back and listen to Anita one more time because there’s so much to gain from it. And this is one of the reasons that I love pulling these clips out of these long interviews because when you have an interview and there’s so much to take in and we quickly and automatically will forget all but a few points that we take away from it and then we take these highlights and we just listen to them by themselves and you’re really able to focus in on some of the brilliant details and wisdom about life after death that in this case Anita shares with us. So we start off the show talking about what it’s like in the spirit world for our loved ones in spirit and then we hear Anita talk about her experiences, a near-death experiencer. And as I repeated in that interview, it’s like talking to someone who was a spirit. It’s probably the closest thing we’re going to get to talking with our loved ones in spirit. I know what it is that they’re experiencing. What Anita is describing there is at least part of that. And, of course, she came back to be able to tell us this story and how amazing it is. Anita has more than one book. I highly recommend any of the books that she has. So check those out on Amazon and, again, the clip of that entire interview will be in the show notes. One of the things I wanna say is the best experience I’ve had to get a sense of what our loved ones in spirit feel in the spirit world is what’s known as a between lives regression or it’s also called a spiritual regression. I’ve talked about this many times on this show. This is a three and a half to five-hour experience that really gives somebody a sense of what it’s like on the spiritual dimension. I’ve had this experience a couple of times and it really helped me to understand what near-death experiences have explained to me about the experiences that they had in the spirit world because I could relate because a lot of the stuff they were saying was very similar to things that I experienced myself during that three to five-hour regression. Even the shorter 90-minute past life regression gives you a hint of this. So, if you’re not up for the long one, definitely just have a past life regression. And for most practitioners, you have to have one of those before you even have the other experience anyway. So start there. I highly recommend both of those experiences. 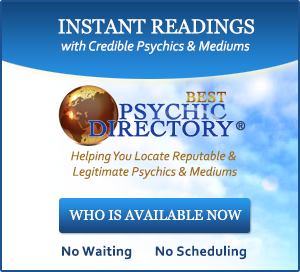 Please visit our sponsor which is my site bestpsychicdirectory.com. 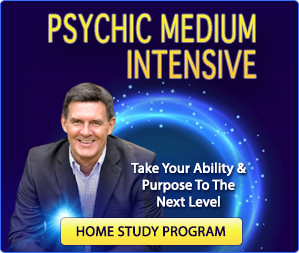 Best Psychic Directory is where you can get an instant reading whenever you feel like you’re at a crossroads in your life or have a question that you just can’t seem to answer using your own intuition. 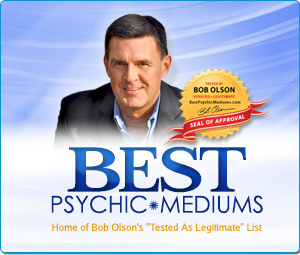 Over 900 psychics and mediums are listed there. You can read reviews from people who have got readings with them and you can search them out by location or specialty. That’s bestpsychicdirectory.com. I wanna thank my wife Melissa for lovely photographs in the video and thank you for listening. I hope you’ll follow us on Twitter, Facebook, or subscribe to our YouTube channel. Let me know what you think about this episode wherever it is that you like to chat with me. Until next week, consider prioritizing your life as if you only had a short time to live because too many people who listen to this show already know that people go home to the spirit world at all ages and for all sorts of reasons. We can be young and healthy, cautious and fearful, yet we just never know when it’s our time. And I truly believe that when it’s our time to go, it’s our time to go. It doesn’t matter what age or what your health is. We know that people go home to the spirit world for all sorts of reasons. So I say this not so that you’ll obsess about death or worry about who might die when but just to realize that none of us are going to live forever. So make the most out of every day. That’s the point. Let’s make the most out of every day. Ask yourself what you can do today or this week to live life joyfully or to express to your friends and relatives how much you love them. It’s kind of cliché, but sometimes these clichés are exactly what we need to hear and be reminded of. So with that, I wish you the very best and we’ll see you next week.